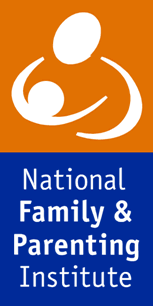 The National Family and Parenting Institute works to support families in raising children through building knowledge from research. The Institute has a reputation for high standards in research which influences government policy and the wider research community. It has been awarded research institute status by the ESRC and has university links. The Institute wishes to appoint a Senior Research Fellow in the field of family relationships and services with a particular focus on issues associated with minority ethnic families. Supporting the aims of the organisation, the appointee will undertake attitudinal research with families, literature reviews, scoping exercises and service analyses. The successful candidate will have a high level of research and academic competence, a postgraduate degree (PhD) qualification and experience in multi-method research programmes. This post offers an exciting opportunity to be at the forefront of leading thinking and research into family diversity and family support needs across communities in the UK. You will also have direct input into government thinking as it faces the policy challenges of implementing Every Child Matters. Please request an information pack from Matt Evans, NFPI, 430 Highgate Studios, 53-79 Highgate Road, London NW5 1TL, Fax 020 7485 3590, e-mail: info@nfpi.org (please no telephone calls). Alternatively, all the details can be downloaded from the NFPI website: www.nfpi.org/about us/careers and opportunities. Closing date for applications: 22/11/2005. NFPI is an equal opportunities employer.